Our Projects - APT Systems, Inc.
Our approach to research and design has us combining our leading technology for market indicators with our proprietary methods so that we can deliver Modern Tools for Modern Traders. We are integrating our researched applications with standard investment processes to provide a competitive advantage for the average trader. In addition, the Company intends to develop a user friendly charting tool that displays price action and historic pricing for publicly traded companies. This charting tool and the charts that it produces can be configured to the user’s preferred view such as a line chart or candlestick chart, and the user shall be able to adjust the chart intervals as the user desires. Utilizing real time and delayed data networks along with visual graphic techniques pioneered in the gaming industry, APT’s solutions can speak to the mobile needs now demanded by the next generation of traders. The steps remaining for the company to begin selling its products are to finalize the programming of the software used in its products, specifically its apps with trading tools, and then commence its sales and marketing campaigns. We are working on plans for two financial apps. We also intend to support traders with strategies and educational lessons that meet the needs of both investors and active traders. 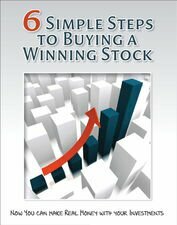 The first E book was released in the Apple iBookstore and is available via this link: 6 Simple Steps to Buying a Winning Stock.